The 20th century is often justifiably referred to as a bloodbath. The 21st century is bloody too, but might more accurately be described as a bubble bath. It was ushered in following the bursting of the dot-com bubble, and since then has experienced a housing bubble, a commodities bubble and almost every kind of financial, price and market bubble imaginable, including the 2007 uranium bubble. What could be next? 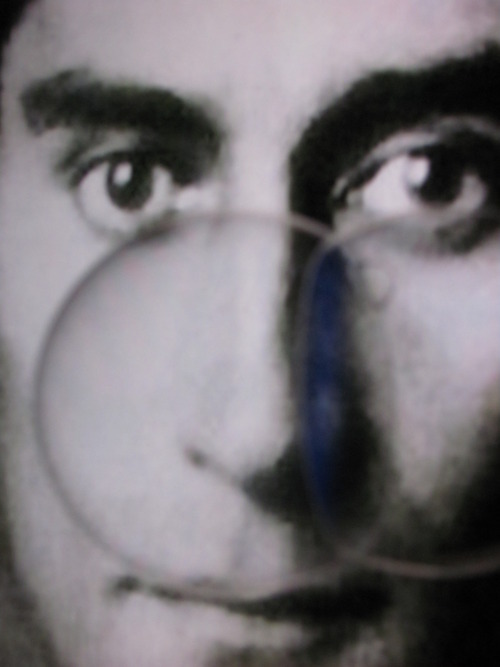 Introducing the Franz Kafka bubble. Kafka is often credited with having had prophetic gifts. These, of course, refer to his fiction and the inhuman bureaucracies they depicted, but perhaps he exhibited his greatest foresight with his now legendary request to burn all his manuscripts. It’s almost as if he knew all the trouble they would cause – trouble that includes lawsuits, burglaries, banning, virtually infinite misinterpretations and even the potential provocations of the communist secret police. On my way to attending my first meeting of the Franz Kafka Society in Prague at the beginning of April I couldn’t resist letting my imagination run away with me just a little. I pictured having to pass through an elaborate labyrinth to reach an underground space where the Master’s works were discussed in hushed, admiring tones. Not that I actually expected anything so fanciful. It was going to be a group of people discussing the work of a writer of short stories and (unfinished) novels, nothing more. With Kafka it’s never so straightforward though. I walked into a somberly lit bookstore and was directed past the rows of books and out into a courtyard, at the back of which was a door leading down a winding, narrow stairwell into one of the many vaulted medieval cellar spaces found throughout Prague’s Old Town. The hushed voices were those of a group of generally older Czech people greeting each other and taking their seats. The subject of the talk was the fate of Kafka’s texts and was led by renowned Czech literary historian and translator Josef Čermák and German translator Jirí Stromšík. In his long and distinguished career Čermák, one of the Kafka Society’s founding members, has translated work by Kafka, Ingeborg Bachmann, Balzac and Roland Barthes among many other writers. Stromšík has also translated work by Kafka, as well as Elias Canetti, Günter Grass, Martin Walser and Max Frisch. There are two extremes that seem to have trailed Kafka’s work since the beginning – and by his work I mean the actual notebooks he wrote in. On the one hand, it has been the subject of destruction and neglect. Čermák mentioned how after Kafka’s death his mother emptied the contents of his writing desk into a bag, which Max Brod then collected and took away with him. Then there is the question of the numerous cats in the Hoffe daughters’ apartment in Tel-Aviv and the potential damage they might have done to the manuscripts stored there, as Elif Batuman recounted so well in her 2010 article in the New York Times. Will conscientious German textual analysts be putting footnotes in future editions of Kafka that say things like “word obscured due to cat dropping”? At the other end of the spectrum Čermák bemoaned the hysterical mayhem associated with searching for “the smallest scrap of paper that Kafka wrote on.” He mentioned a five-line letter currently in the hands of a local specialist, whose name he was unwilling to identify. Beyond an obvious contempt for the blatant financial motives of those who would profit from Kafka’s everyday correspondence or, one can imagine, shopping and to do lists, was a total bewilderment over those desperate to part with massive sums of money to buy these non-literary odds and ends. “Kafka name is mystic, or I don’t know what,” said Čermák scornfully, ascribing it to a kind of marketing campaign. Most significantly both speakers felt this “marketing” extended to the currently contested manuscripts in Tel-Aviv. The idea that a new novel or anything previously unknown by Kafka would be found in the boxes in Max Brod’s former secretary’s apartment struck them both as a ludicrous invention of journalists. They accused them of creating a Kafka bubble. An article in Israeli daily Haaretz from July 2010 suggests that the reason the Kafka manuscripts have been kept hidden so long is to raise their financial value. The discovery of the manuscripts, it says, “has put Kafka aficionados on tenterhooks worldwide,” a surreal, gruesome image that Kafka himself would undoubtedly have loved to doodle in his notebooks. Most surprising of all Čermák and Stromšík both seemed to think that the question of there being any original manuscripts at all in the Hoffe’s physical possession ended definitively when Brod transferred the manuscripts to a Zurich bank vault in 1956 as the Suez crisis in the Middle East heated up. In 1971 there a book was published titled Kafka and Prague containing some biographical information on Kafka along with beautiful photographs of Old Town locations associated with his past. The book’s author was listed as Jan Bauer, though in fact this was a pseudonym for Josef Čermák, who said the photographers also worked under pseudonyms to conceal their identities. The book was smuggled out of the country and published abroad. He claimed he wasn’t sure if this was only an “idiot” or an act of provocation by the security forces. I am tempted to let my imagination run away with me again and picture the elaborate sting operation – a literary scholar, breathless with anticipation, is led towards the border and a potential meeting with a ninety-year old Kafka, only to be surrounded by unmarked secret police cars at the last moment and taken away. Or why not go one step further and imagine a wizened old man looking quizzically at the world of anti-war demonstrations, bell bottoms and cars speeding by on the Autobahn? But then I realize how unnecessary it all is, that the real afterlife of Kafka’s work is strange enough on its own, and that no fiction we can conjure up will ever live up to its troubled reality.